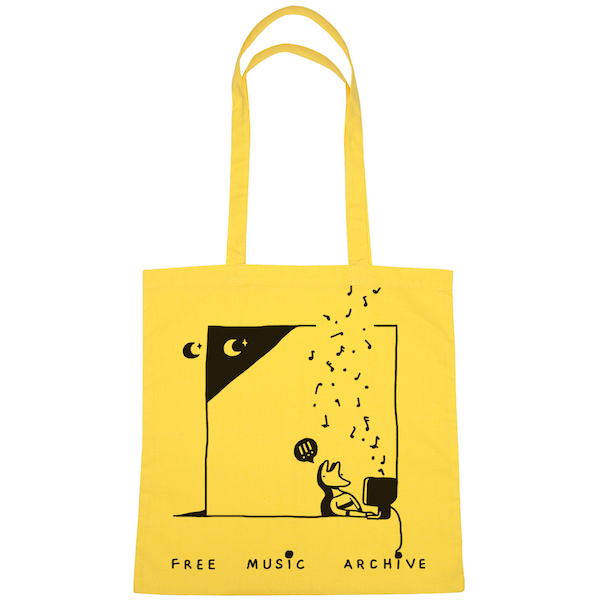 We are very excited to announce this year's newest FMA swag item - a tote bag! Heather Faye Kahn, the artist who designed this bag, is an illustrator, animator and visual artist in New York. She is also the host of Hello Children, a weekly freeform radio program on WFMU whose last episode (for now) was Sept 10, 2017. You can find out more about her here. This bag, at 15x15 in, will fit a few vinyl records inside, or some groceries, or many many mp3s! Pick one up with a $180 one-time donation, or a $15 monthly donation (your choice).